RE Locals connects home buyers and visitors to real estate professionals. 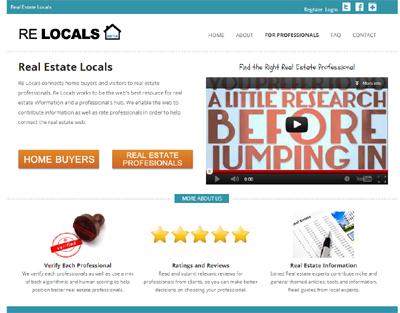 Re Locals works to be the web’s best resource for real estate information and a professional’s hub. We enable the web to contribute information as well as rate professionals in order to help connect the real estate web.